CENER has extraordinary capabilities for providing computational and experimental assessment of third-party blade designs. 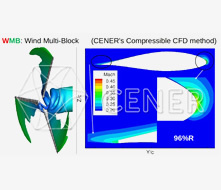 Computationally, CENER uses a compressible CFD in-house code and aeroacoustic models to characterise aerofoils, to calculate blade and rotor performance, as well as wake effects. Specifications of wind tunnel models. Design of the test program. Supervision of the test process. 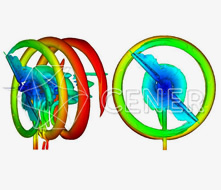 CFD simulation. Full rotor with tower interaction.